Have a question about type 1 diabetes research? Contact us at 800-888-4187 or Diabetes@ BenaroyaResearch.org. The Diabetes Clinical Research Program (DCRP) at Benaroya Research Institute is an international leader in type 1 (autoimmune) diabetes research. The program’s goal is to help families with type 1 diabetes by investigating ways to prevent diabetes, finding new approaches of diagnosing the disease in its earliest stage to optimize the potential for successful treatment, and testing innovative new therapies. 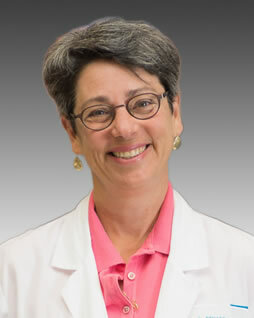 Carla Greenbaum, MD, is director of the diabetes research program and the Clinical Research Center. As the Chair of Type 1 Diabetes TrialNet, a National Institutes of Health (NIH) international consortium, and Principal Investigator of the TrialNet Northwest Clinical Site, Dr. Greenbaum has been named one of the world's top experts in type 1 diabetes. Learn more about Dr. Greenbaum.